A couple of years ago I invested in an invaluable piece of kitchen gear. I bought this machinery of wonderfulness- an Assistent Original. I’m recapping a few details here, as it’s been nearly 2.5 years since I bought it and some people have asked do I still stand by it? In a nutshell…YES! A big beautiful yes. 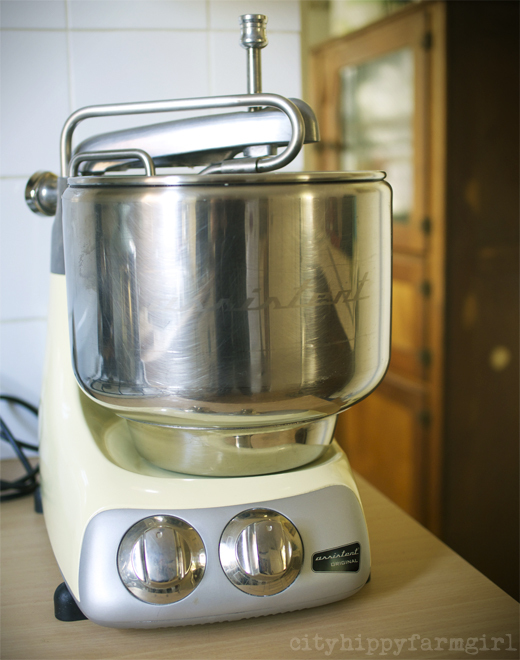 I use the Assistent several times a week, I make several kilos of dough at a time (it can take up to 5 kilos) and it has never given me the slightest hiccup when it comes to bread mixing. For a baker enthusiast that isn’t at commercial levels but bakes more than the average home cook I would highly recommend it. Actually I do, for everyone! After sticking with the basic package, last year I decided I wanted to give a few of the other attachments a go. With the meat mincer, cookie attachment and grain mill now adorning my bench top what do I think about them? Well hands down the grain mill is a winner in my book. I go through a fair chunk of grains in this household. Linseed, and sunflower seeds being used the most. I buy in bulk as it’s cheaper, that way I can make sure it’s grown locally and/or organic. By using the grain mill I can also make sure it’s kept at its freshest. The machine goes on its side, attachments on and grain or seeds in at the top. 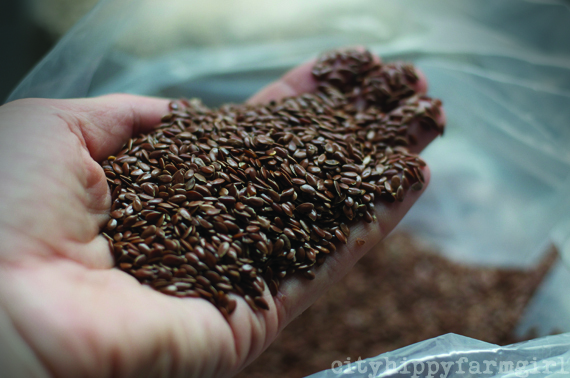 I adjust the consistency I want of the grain or seeds to be ground at, put the timer on and walk away. It looks a little odd, with the machine lying on its side, but it works beautifully, attaches easily, isn’t noisy and doesn’t make a mess. The grain mill though? Yes! A big triumphant yes. And the Assistent Original as a machine for the home cook? 100 times yes. I love it just as much as I did when I first got it two and a half years ago, and would recommend it in a heart beat. 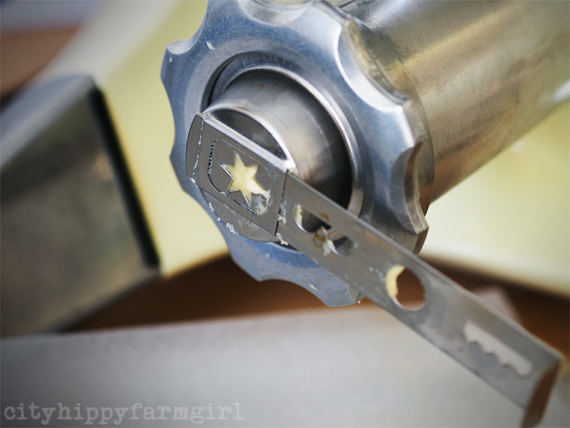 This entry was posted in Connecting with Community, Food Glorious Food and tagged assistent original, best mixer for bread, bread, cookie attachment, grain mill, meat mincer, review, sourdough by cityhippyfarmgirl. Bookmark the permalink. OOh, exciting. Have you used the grain mill to mill flour for your bread? You know I’m keen for a grain mill, and the possibility of selling my KitchenAid (I’m worried about killing it with bread making too) and replacing it with an Assistent + Grain Mill is floating in my mind…but I’m concerned that the mill may not produce a grind fine enough for flour? 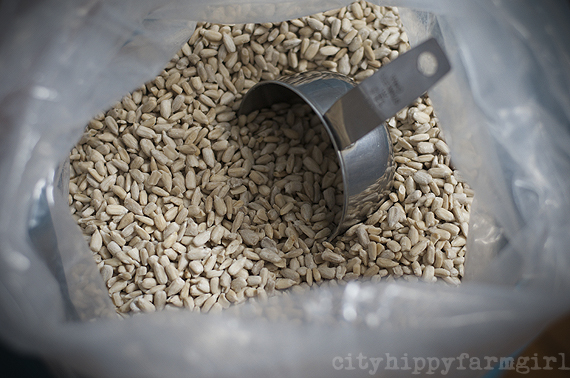 I’d love to be buying my spelt as grain in bulk and milling my own…sigh! Sam your hands are fine 🙂 Get in there and knead that dough. I use the mixer as I make a LOT and I have zero bench space. Saying that, to make great bread you don’t even need lots of kneading, long pauses between kneading I find are far more efficient- Developing and resting the gluten. Happy baking (and eating)! Lol! After reading your first super nerdy post, I recommended this to Mum over getting a KitchenAid purely because it had a propriety biscuit attachment and thus wouldn’t require the retrofitting I’ve done to the collar on the mincer attachment for my KitchenAid to take a biscuit attachment! Sure the biscuit attachment only gets used at Christmas and maybe in June for Icelandic national day celebrations but when it does it gets a work out. Mum also uses the plain mincer attachment to mince meals which she dehydrates for bush walking. As much as I love my KitchenAid, I know I’ll be upgrading to an Assistent if/when it ever dies. 🙂 So funny to read that Helen! And good to hear too. The mincer attachment for then dehydration is brilliant, I still would like a dehydrator in my future so I look forward to doing this too. For Christmas, my husband bought me a Komo electric flour grinder and we’ve started buying organic whole wheat flour in 50 lb bags. I love it! It is a smidge noisy, but using fresh flour to bake produces much springier baked goods. Thanks Brydie. This is so useful because kitchen equipment is so expensive to invest in. Also often online reviews are given shortly after purchase so you don’t know if there are any future problems. Gosh The assistant is really something to look at too. Thie assistant looks fabulous. I stumbled across your review after watching my kenwood major over heat yesterday on a double batch of whole wheat dough- lovely locally grown flour. Dough weighed 3.6 kg. oops! And a sourdough starter is brewing….. I used to bake sourdough back in the 1990’s…. Now 2 young kids later, it’s time to bake bread in family sized batches… Long ferments are better for sensitive tummies. I wish this had been available in Australia back then..! I wonder- is the grain mill the rolled oat flaker mentioned on Lynn junk’s YouTube video of the Assistant? … And does the bread really taste differently, kneaded with the roller, not the hook..? Thanks for the awesome review!!!! Thank you for your reviews! I have decided on an Assistent- waiting on Blackwood Lane receiving a shipment:-) am getting quite tired of making bread one loaf at a time for a family… We go through a fair bit. The kenwood major can handle 2 loaves of sourdough at a time, but it does overheat and stop. It definitely prefers 1 kg dough or less, and we both feel bread is pretty tough on it! Am currently reading about the Ankarsrum attachments. Very interested in the grain mill and flaker. Would love to know what percentages of home milled flour vs commercially ground flour you are using for your bread. A dedicated grain mill would be lovely, but very expensive until I have explored bread making with a basic mill. Expensive both in cost and bench space. I should add that I have a thermomix ( previous model) and whilst it’s a godsend for cooking for children with intolerances, it does not mill grain well. Using more than 100 gram in a 500 g loaf makes for a very dense, tight loaf of bread. It’s still good, just not awesome…. Could I ask you a question about the grinder please. Would it work as a spice grinder for small quantities? I have the Assistent mixer which, like you, I love and I am now looking for a new spice grinder. I can see from what you say that grinding big quantities works well but how much do you think is the minimum that it can grind at a time? All advice gratefully received. Hi Bridget, I haven’t done spices in it but I think it would work just fine. You can change the rate it’s being ground at and I’m sure the spices would be easy peasy. Quantity wise…argh not sure. Makes me want to play to find out though! I love my Ankarsrum and I can vouch for the meat grinder, it is sensational. The only attachment I’ve not had as much success with is the pasta maker, seems to get very hot. I keep meaning to go back to Blackwood lane and asking them for some tips. I am now researching about grinding grains for adding to bread and you seem pleased. Where do you buy the grain, health food shop? I’m thinking the local ag farm store wouldn’t have organic and not sure how I would tell variety of wheat or protein level. Cheers, Maree.